Heyyy there! I had been telling myself for the longest that I have to start cooking again. A couple of reasons why...1). It cuts down on me going to fast food restaurants...2). I can save a few dollars....3). I deserve a cooked meal sometimes.....4). I don't need to add any extra weight to this waist of mine. So, I said for the new year I will try and cook at least 1-2 days a week. 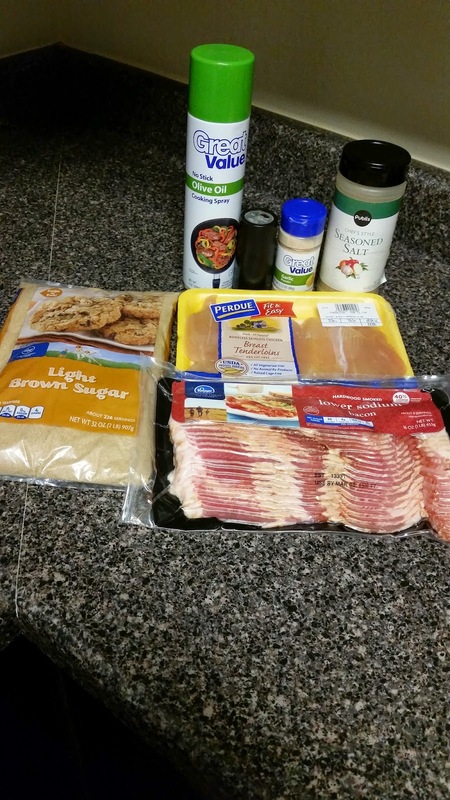 Then I stalked Pintrest for an easy and simple recipe that's where I found a recipe for...Sweet and Spicy Bacon Chicken. I altered the recipe just slightly. 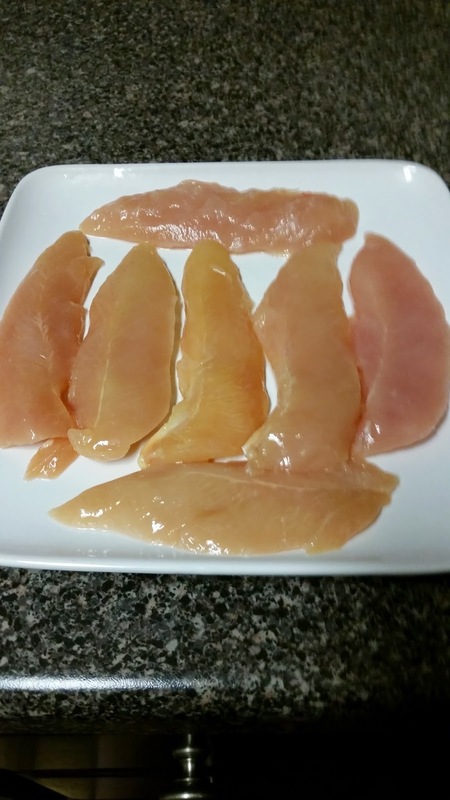 The only thing I didn't use was the chili powder or table salt because I didn't have any in my seasoning cabinet and I purchased the chicken breast already cut because I didn't need as many cutlets. 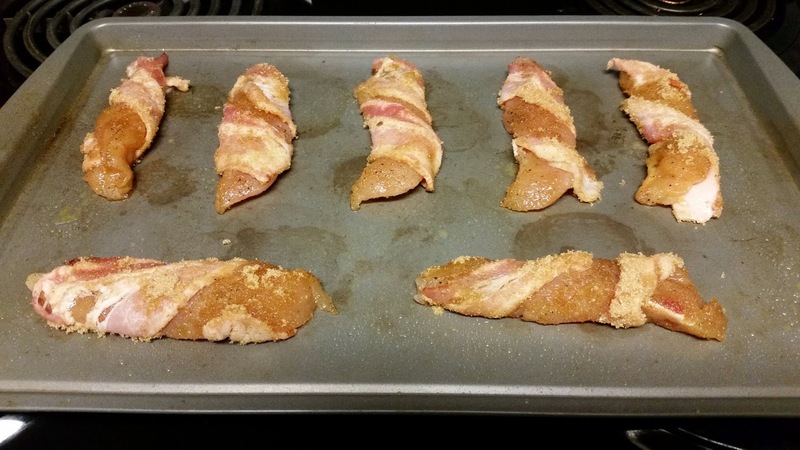 I washed and seasoned the chicken, cut the bacon in half and wrapped it around the chicken, roll it in the brown sugar and placed the chicken on a greased baking dish then baked on 400 degrees for 35-40 minutes or until the chicken is thoroughly cooked and the bacon is brown and crisp. I neglected to take a pic of me rolling the meat in the brown sugar...**sigh** but you can see the brown sugar on the chicken above. As you see I served mine with a cheesy baked potato and green beans. This was a very delicious meal and simple to make. Main Dish Mondays will be a new series on the blog. Shout-out to my niece LaTiesa for coming up with this idea for the blog. How often during the week do you cook? 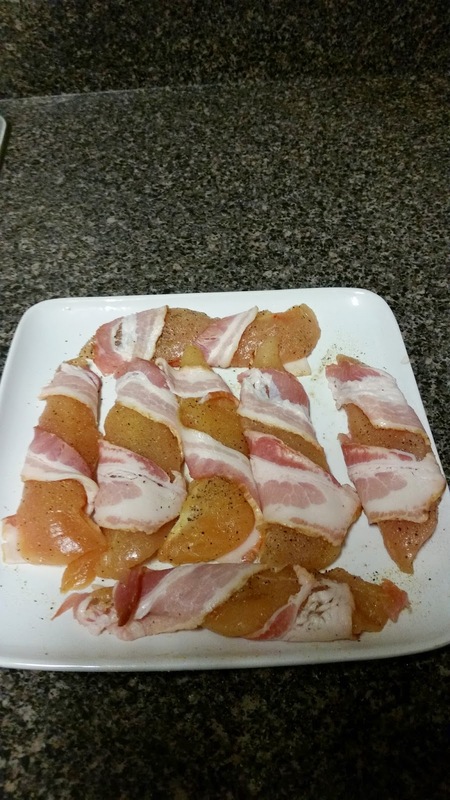 Bobbie, this meal looks delicious and I'm not a bacon eater. 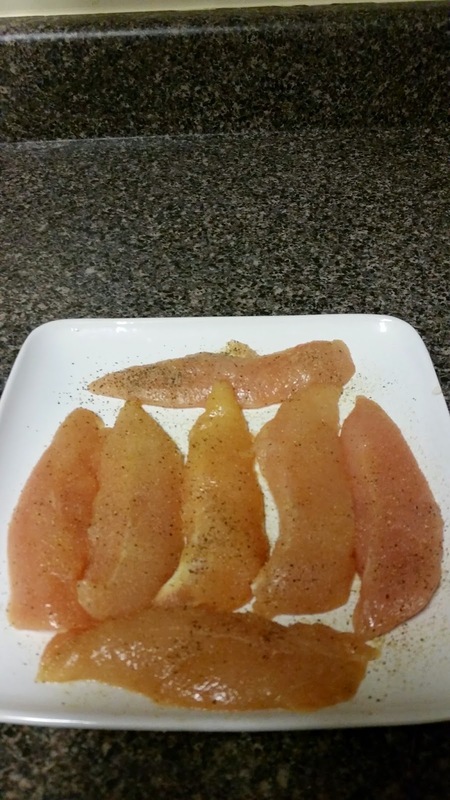 I've been trying to cook more. I've been trying out Blue Apron which I saw a post for on another bloggers site and I have really been enjoying it. I'm gonna check out Pinterest for some meal inspiration. Great post. Happy New Year! Thankfully, I still live with my mom, so she currently does all the cooking. When I was in college and had my own apartment, I hated cooking and missed having my meal plan, lol. 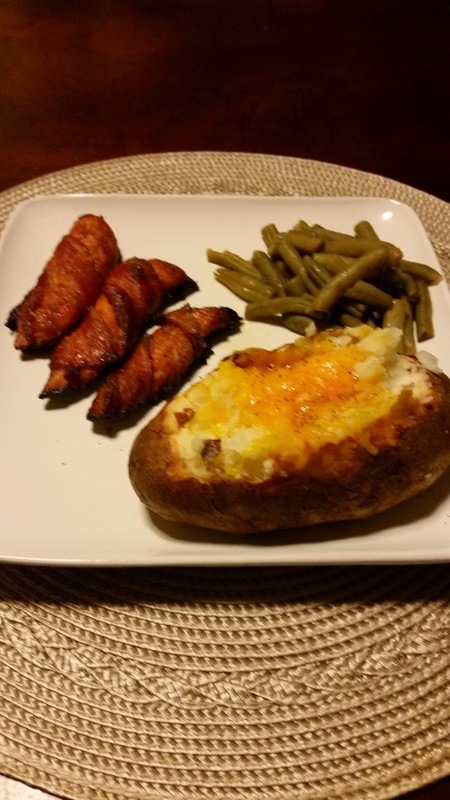 I don't eat pork bacon (or any pork at all) but your meal looks so scrumptious, especially that cheesy baked potato! Mmm. Can't wait to see what you cook up next Monday!